Ferret kits from our own Angell Pets breeding stock are now in store. I went over to our breeding centre last night and collected hob and jill kits which are now safely housed in store. Anyway we have seven hobs ferrets and five jills available for sale. We will be working on the last stages of hand taming and litter training over the next couple of days. Prices are the same as last year, £25 for a hob and £30 for a jill ferret. This is below trade price (to buy them in from one of our suppliers would cost me £40 each!!!). Our ferrets are always extremely popular and as we have not had the best of breeding seasons so far this year these little beauties will not be around for long. 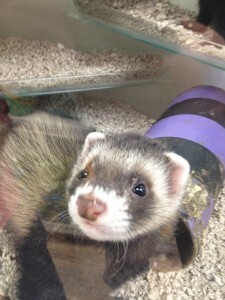 So if you have been waitng for one of our ferrets get in quick. 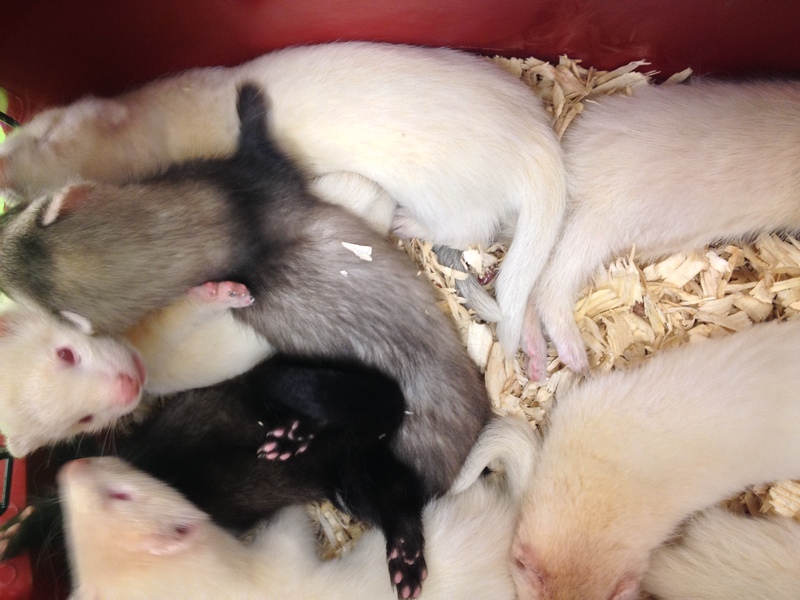 We currently have polecat, silver mitt, sandy mitt and albinos. Before considering buying a ferret please factor in the cost of neutering. 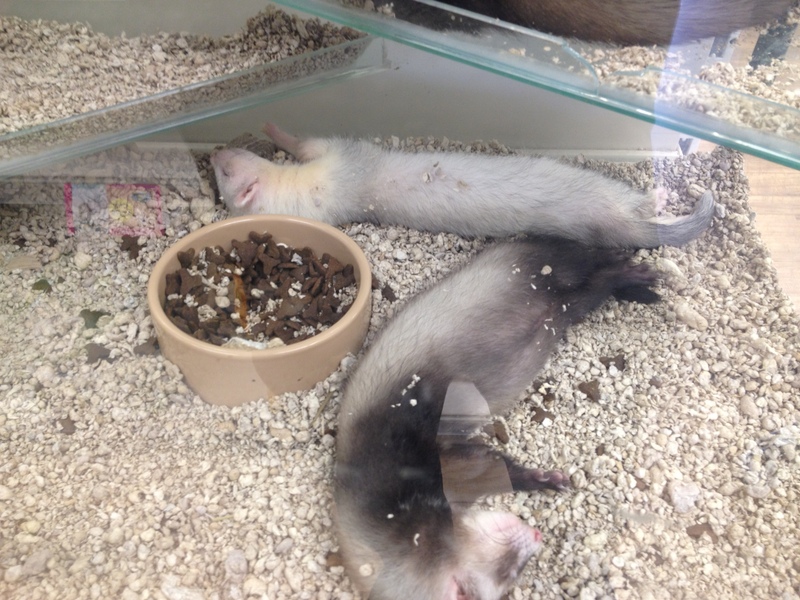 Male ferrets smell very strongly in breeding condition and are at risk of prostate problems. Females MUST be mated to take them out of season (or be given expensive jill jabs) or they will get very ill or die. 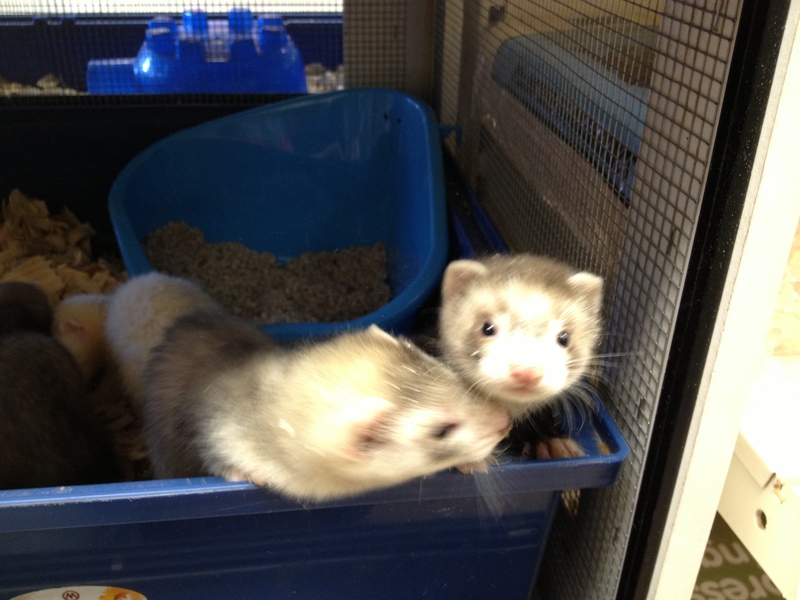 We recommend all ferrets bought from us are neutered and vaccinated for canine distemper..